Hiro Onoda, an Imperial Japanese Army intelligence officer, was stationed on the Philippines in 1944. 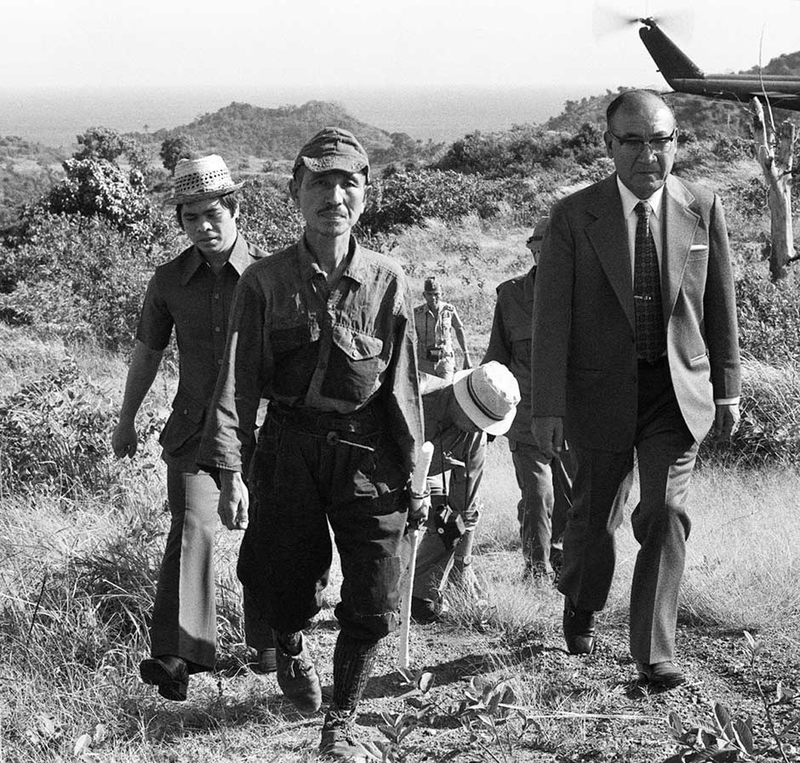 He refused to believe Japan surrendered in 1945 and continued to engage in guerrilla activities for 29 years. Norio Suzuki, a Japanese explorer, traveled in search of "Lieutenant Onoda, a panda, and the Abominable Snowman, in that order". He found Onoda after four days of searching the island. Suzuki contacted the authorities in Japan. Onoda's former commander traveled from Japan to personally issue orders relieving him of duty in 1974.